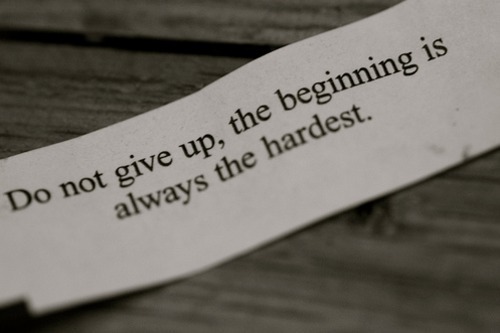 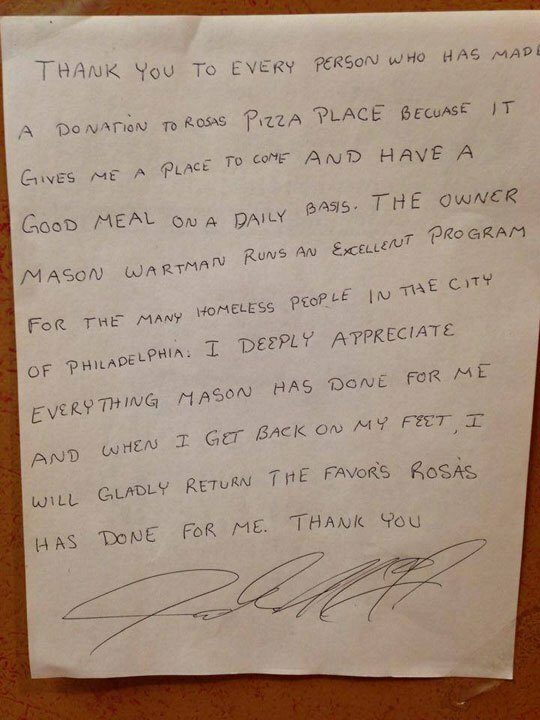 Way back in 2013, many moons ago, a man named Mason Wartman decided to quit his job on Wall Street to popularize a familiar NYC concept in Philadelphia: A one dollar slice of pizza. 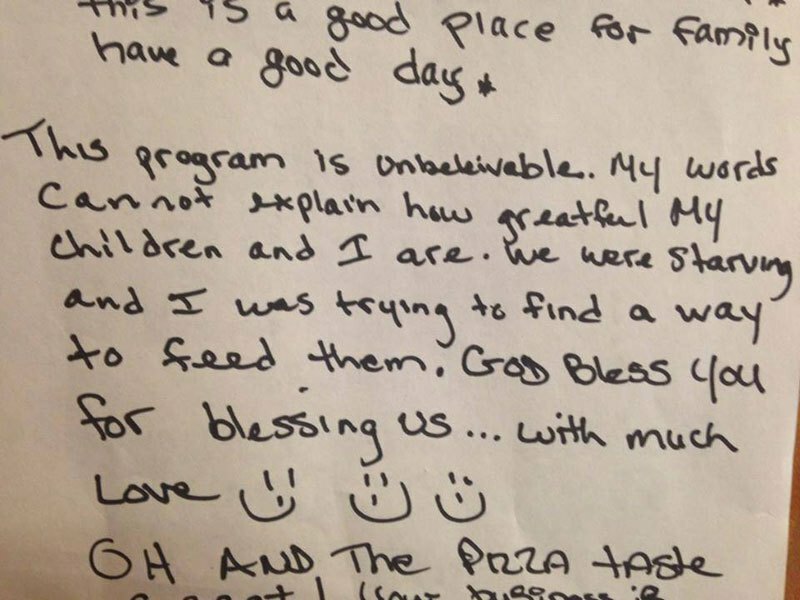 Wartman grew up in Philly and wanted the people of his home town to experience the $1 slice of pizza experience, but this story took an even more uplifting turn than a new business idea being brought to one city from another. 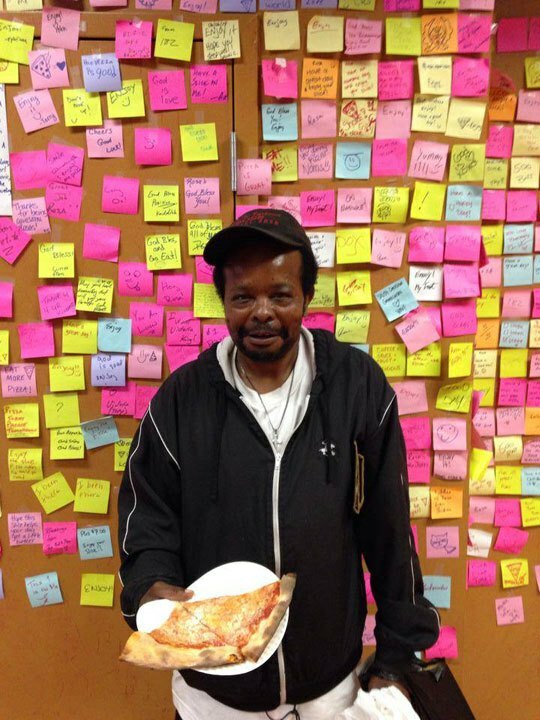 One decisively important day, while a customer was buying a $1 slice at Wartman’s then-new pizza shop Rosa’s Fresh Pizza (named after Wartman’s mother Rosa), he asked if he could buy another slice for someone in need to pay it forward! 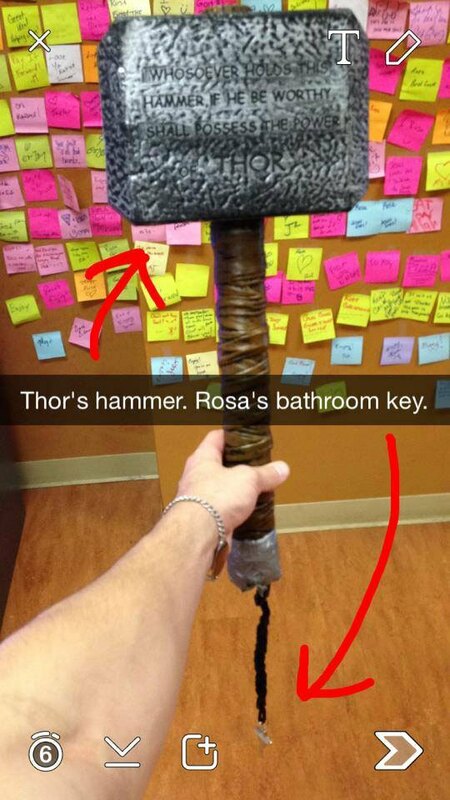 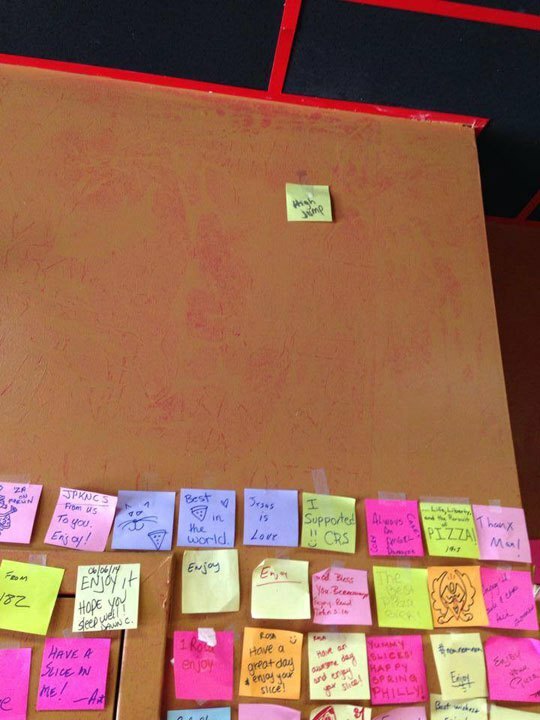 Of course it was possible and the owner of of Rosa’s simply loved the idea, so he drew a smiley face on a post-it note and stuck it on the wall in his restaurant to symbolize the free slice bought for a person in need. 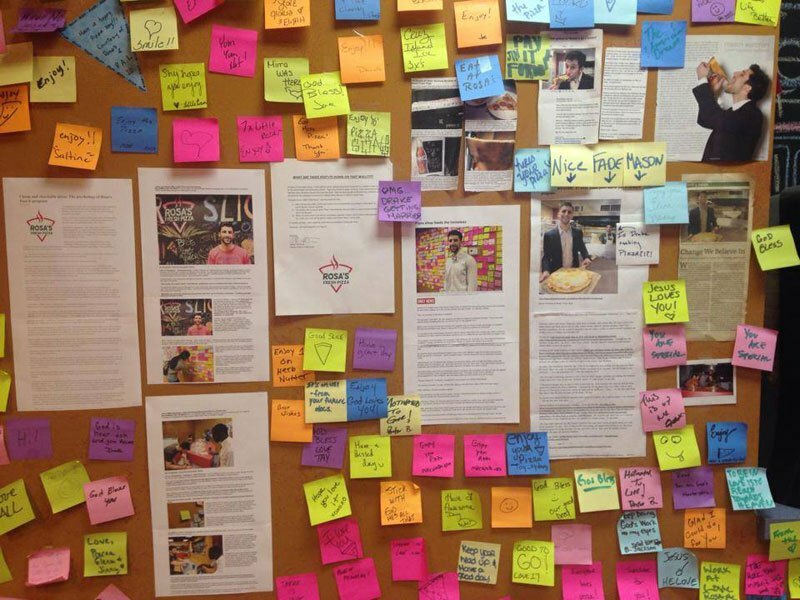 Many more slices were paid forward since then and symbolized on the wall with post-it notes, which began to function as pizza slice vouchers for people in need. 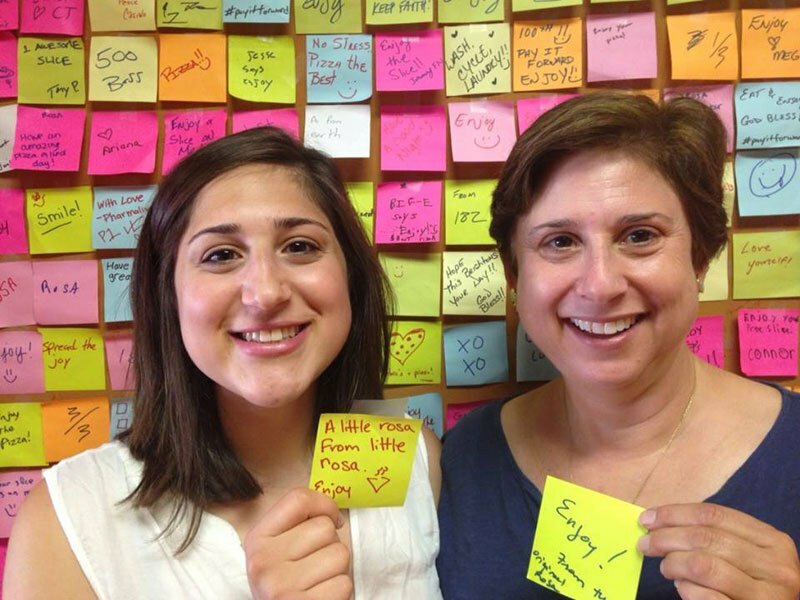 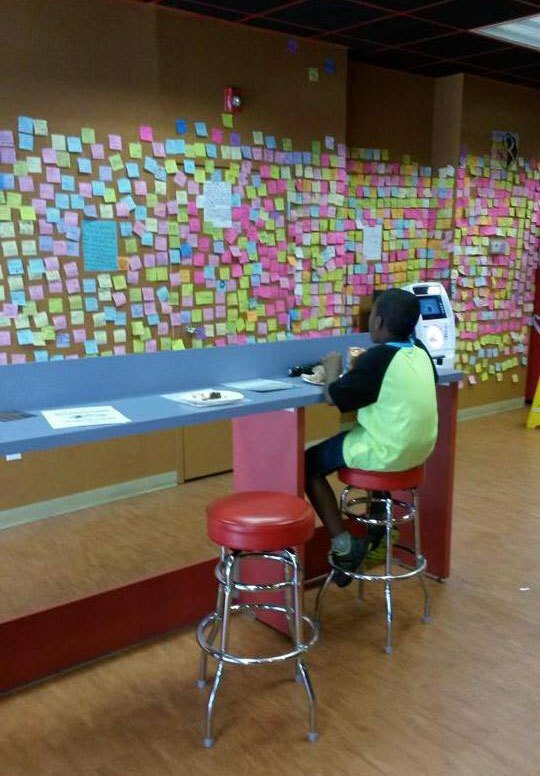 If you were hungry and in need, you could grab a post-it note from the wall at Rosa’s Fresh Pizza to grab yourself a free slice of pizza. 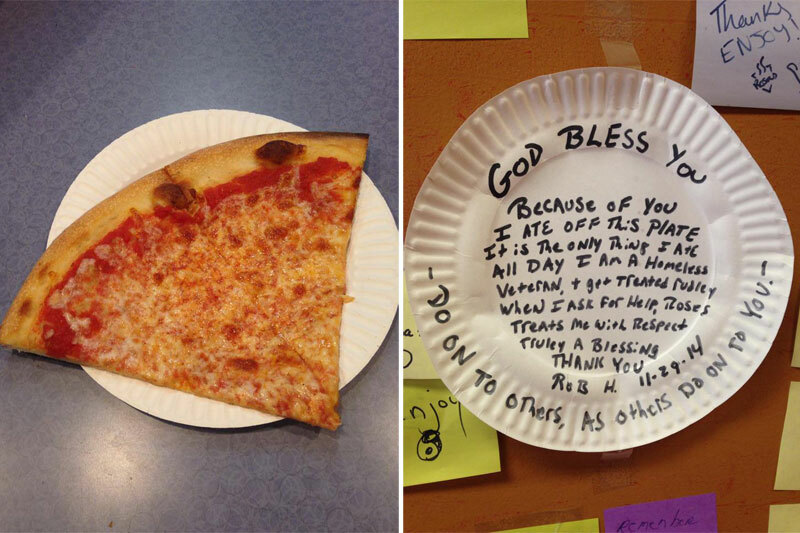 The first slice was donated back in March of 2014 and today more than 8,000 slices have been paid forward to feed the homeless (and anyone else in need in Philly). 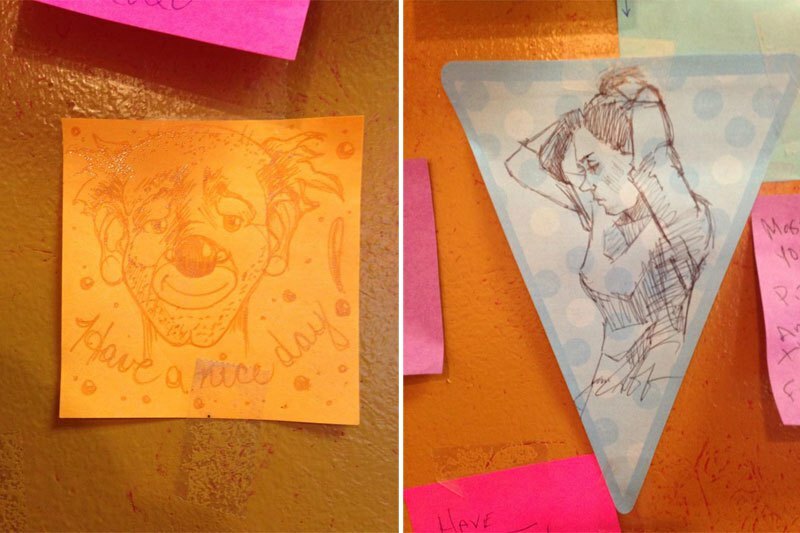 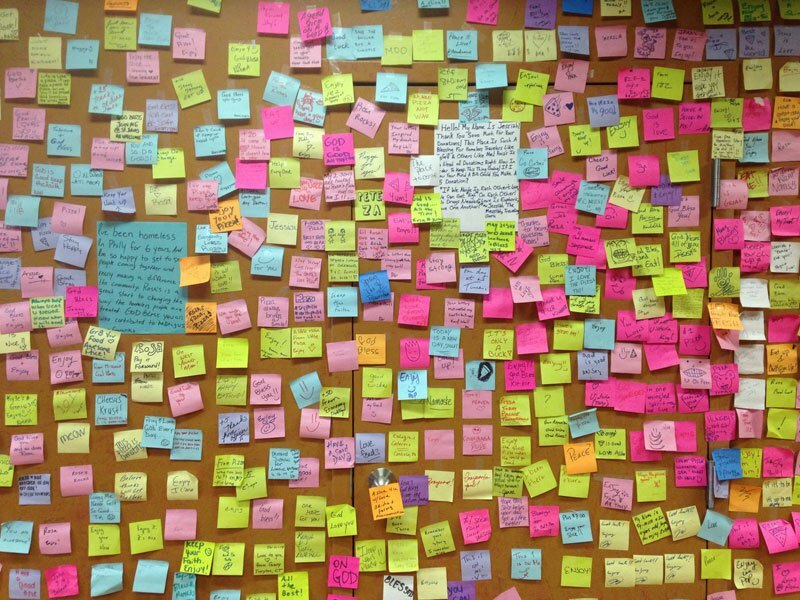 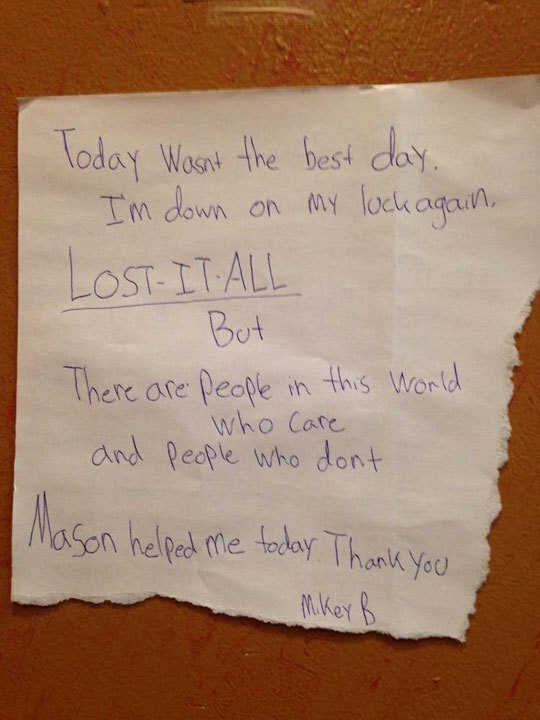 Pizzeria owner Mason Wartman gives away approximately 30-40 slices of free pizza daily now, but the post-it notes just stay on the wall now and serve as thank you notes, messages of encouragement, and to hold uplifting photos. 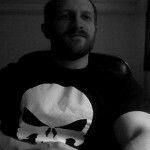 I’ve posted pictures of just a few below for you to enjoy. 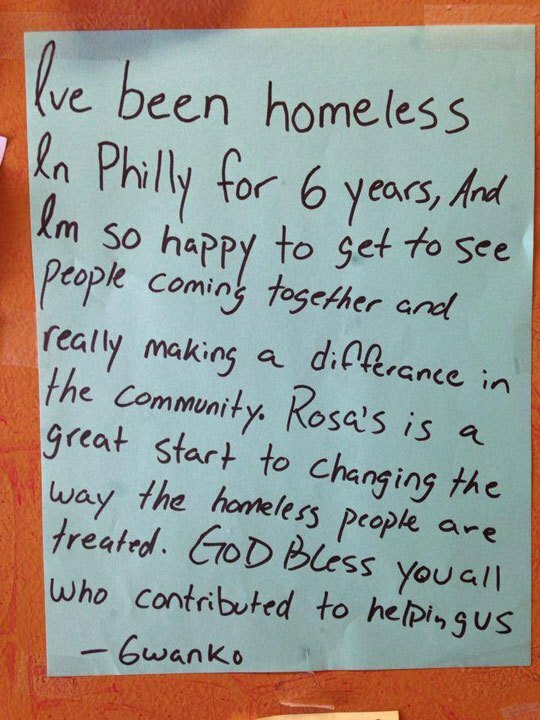 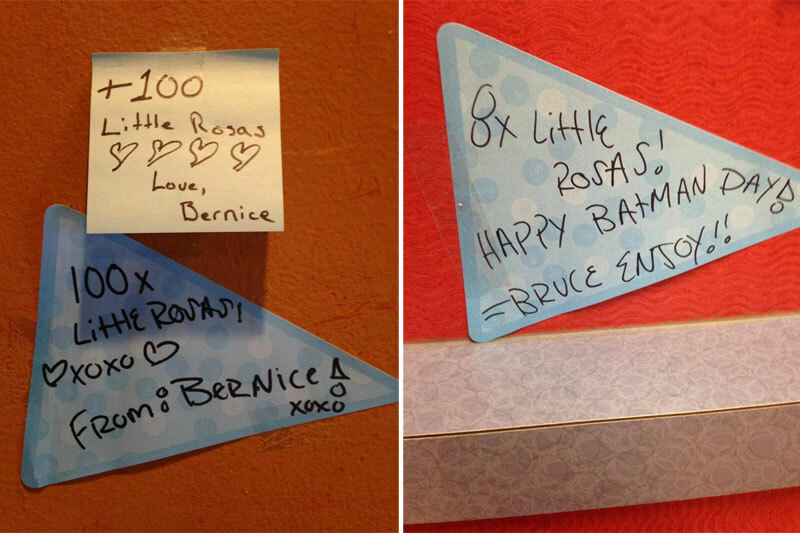 The free slices for the homeless are now on the house, because of generous donations from people like Ellen DeGeneres (who donated $10,000 to Rosa’s). 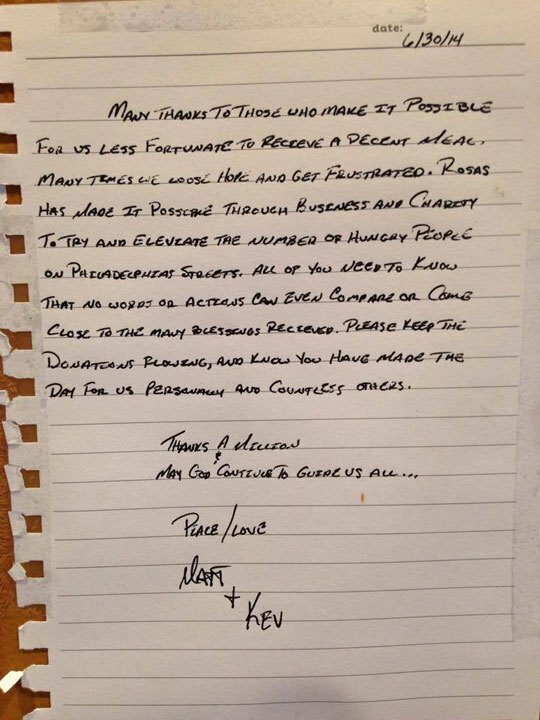 A nice idea has snowballed into a movement to help feed the homeless in Philadelphia. 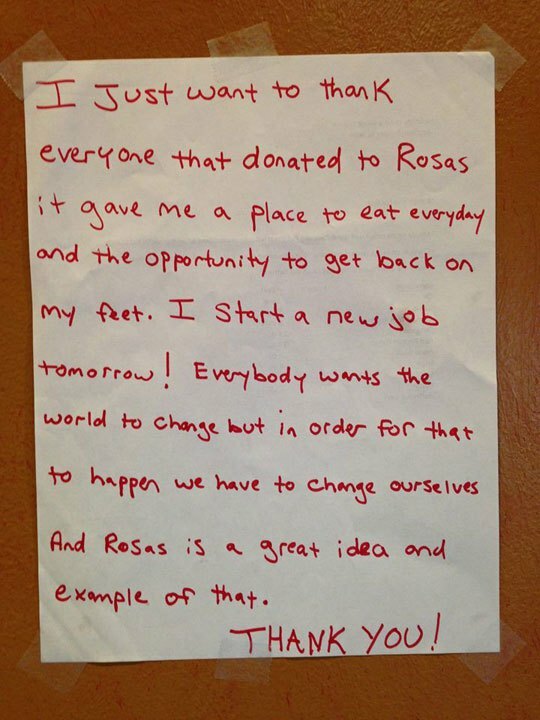 Please check out Rosa’s Fresh Pizza’s Facebook page for more information.